Every business has a critical need to keep their website online, safe from hacking, secure and updated at all times. That’s where our Business Continuity service comes in. We provide a business-class website resilience service which solves this problem for you. It includes offsite website backups, website patching and updates and 24×7 website monitoring. Make UKcentric a part of your disaster recovery and business continuity plans. We are so sure you’ll love having UKcentric on your team, that we’re offering a free month if you commit to at least 3 months of Business Continuity. See below for details. 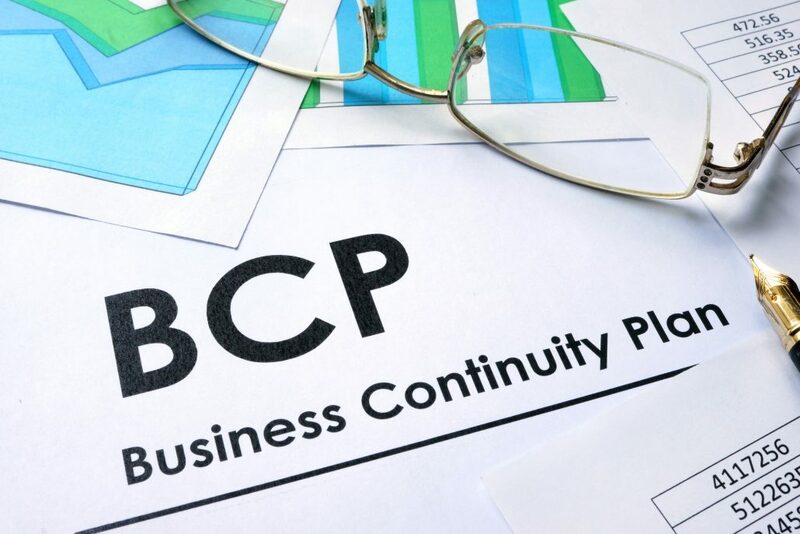 How does the Business Continuity plan work? Prices start at £85 + VAT per month. This would include a monthly backup and all other continuity services. We monitor your website for abnormal events such as unexpected outages (downtime), slow running, hacking and defacement. Should we detect any such situation, we’ll take the appropriate action depending on the circumstances. We will also alert you by phone or email. We have considerable experience with repairing hacked websites. If your site is built on a popular Content Management System such as WordPress, we have successfully repaired many such websites. Even if your site is not on WordPress, we have knowledge of most of the key ways in which hackers can infiltrate your website. We can therefore normally detect the point of weakness and fix it. We always recommend security best-practices to prevent most hacking incidents. The list of services within the Business Continuity Plan are shown on this page. We can also provide other services such as website maintenance and WordPress maintenance. Through our sister brand, Dotwise, we can also provide SEO, Pay-Per-Click digital advertising and social media management. Most other companies try to tie you into restrictive website maintenance contracts. Not UKcentric. There are no contract tie-ins. You can stop your Business Continuity Plan whenever you like. The exception is if you take advantage of the “first month free” offer – in this case, we ask that you commit to a minimum of three months. After that, you are free to leave us with just 30 days’ notice. All of our staff are based in the UK (hence our name). We don’t outsource work overseas or use subcontractors. How do I get the first month free? Our “first month free” offer applies if you agree to sign up for a minimum of three months, paid monthly in advance. Just mention this offer when you contact us and we’ll do the rest. We offer a full money-back guarantee. If you are not completely delighted with our work, we’ll refund up to one month’s fees. For your peace of mind, UKcentric carries comprehensive insurance including professional indemnity insurance and e-risks insurance (including hacking and security breaches). Don’t rely on your web host’s “backup” facility (if they even have one). Our website offiste backups give you peace of mind that your website is safely backed up and can be restored within hours. Backups can monthly, weekly or daily depending on your need. We keep your website safe and secure using industry-standard best practice. If your website is built on WordPress, it needs to be updated regularly to close loopholes which can allow hackers in. Our Business Continuity plan ensures your WordPress site is kept fully up-to-date and those hackers are locked out. Your website is only safe if its plugins are regularly kept up to date with the latest versions. Out-of-date plugins are a leading cause of website hacking. Our Business Continuity plan ensures your plugins are fully up to date. We monitor your website by continually “pinging” it every 5 minutes from up to 5 different locations. These locations can be in the UK, Europe or around the world (we have monitoring stations in most countries). Our monitors take your website’s pulse, and alert us if any unexpected event occurs such as hacking or downtime. If we detect any abnormal activity on your website we will alert you and take the appropriate action. This could include blocking certain countries, users or IP addresses, removing defaced text or even a complete website restore from backup.